In modern scenario, plastic payments are dominant across industries. Customers consider card payments as their favored payment method, either online or in-store. To pay with cards is preferred by all of us for the obvious reasons. It is not only convenient and safe but it is fast too. It is great if you have realized as a business, that accepting card payments at every single point of sale, is indispensable for growth of your business. Your customers expect to have secure and fast payment processing at your end. Did you know out of all transactions, only 27% purchases are made with cash? Customers love to swipe their cards big time. Yet, some business owners consider switching to plastic money acceptance as an expense. True that selecting the best from number of payment processing companies can be difficult. A lot of factors come into play like features they provide, cost, customer service and more. You would, of course, look out for the service provider which seems to proffer excellent customer service along with the updated features at transparent and competitive pricing. Credit card processors charge money, in lieu of their services, which is quite basic. But why you should pay what you don’t have to? If you have, already received the monthly statement from your merchant service provider, chances are, you are tensed and confused at the moment. Besides the transaction fee, there is a lot much involved. You may find it extremely difficult to understand breakdown of fee. A little idea you may or may not have of, how to distinguish between avoidable and unavoidable expenses. 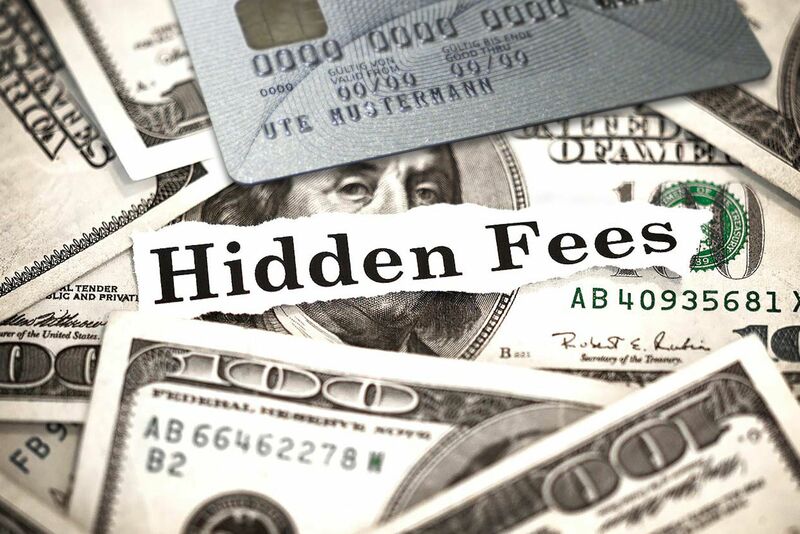 Continue reading the post to unleash hidden secrets of payment processing fee. For your easy understanding we have segregated the avoidable fee and ways to avoid them. But before you start learning them have a quick look on the unavoidable fee. In order to accept card payments, merchants are mandatorily supposed to bear the interchange fee. Every single card accepted at your business has an associated cost with it. This cost is pre-decided by the credit card providers themselves. It is non-negotiable and is subject to change with individual cards. Being a business owner, you cannot directly deal with credit card companies. Setting up of a merchant account is prerequisite of accepting cards at your business. For providing merchant account services to you, merchant account service providers charge a fee from you. It is however, done by either of the two ways- charging markups on top of interchange or flat monthly subscriptions. A thorough understanding of the 5 common and avoidable fees and ways to avoid them can save thousands of dollars for you every year. Termination Fee. You have the liberty to choose from array of merchant service providers. And you are anytime free to switch to other if you are not satisfied with the services provided to you. Tied in the contract? There is a high possibility that they would have trapped you for an expensive termination fee. Make every possible attempt to find a payment provider that does not bind you in any contract and offer month-to-month billing. Looking for one such? We can help you locate the right card processing services for you. Setup Fee. This fee is commonly levied upon merchants for implementation of new account. Usually providers will charge a setup fee for the merchant account itself and expect the merchants to pay additionally for implementation of a technology solution needed for example a POS or online shopping cart. You can avoid this additional expense by partnering with a merchant account provider who is having a transparent pricing policy. Digging deep and asking specific questions to potential providers about setup fees is what you can surely do. Key is to negotiate for the lowest price. Batch Fee. For brick and mortar stores it is easy to understand the importance of batching your terminal every day. Batching a terminal is required to sending the gathered details of the transactions and deposit your money in the bank. Avoiding this fee can be only done by an honest and open discussion with your provider. Asking your provider upfront about the fee will make him tell you what they charge and will not be able to hide it in the monthly statements. Reprogramming Fee. You cannot miss on the latest technology as continuous improvement in ways of accepting payments will grow you as a business. This expense cannot be avoided. But what you can do is look for the provider’s customer services department. The more they value their customer experience, the more it will make worth for your business. Get into details of phone wait times and technology upgrades etc. Statement Fee. Having a merchant account and receiving monthly statement goes hand in hand. There are several leafs to the statement, each one of them quite difficult to understand and the worst part is you pay for receiving this statement. You are always free to check with your provider for enrolling in a paperless statement system. There are hundreds of fees that are not necessary to be paid by the merchants. It is difficult to cover each one of them here. Now when you know, what all is unavoidable, rest everything falls in category of avoidable fee. Speak out your concerns to your payment processing services SPOC and get the issues arrested. Just like many other traditional merchant service providers, your provider might not be expecting you to have a look of your monthly statement. As far as understanding of statement is concerned, it may come to the other side as a shock.